Cruden, D.m. and Hugh A. Halliday. "Rock slide". The Canadian Encyclopedia, 08 June 2015, Historica Canada. https://www.thecanadianencyclopedia.ca/en/article/rockslide. Accessed 20 April 2019. A rock slide is a type of landslide occurring when a mass of rock moves quickly downslope. One of the classic, and disastrous, examples of gravitational erosion (photo by Ken A. Meisner/Take Stock Inc). A rock slide is a type of landslide occurring when a mass of rock moves quickly downslope. Rock slides happen in mountainous regions or where artificial excavation is taking place (e.g., mines and quarries). Several disastrous rock slides have taken place in Canadian history, the worst being the Frank Slide in 1903. Rock slides are common on high, steep rock slopes. When the mass moves through the air, the movement is a rockfall. If the upper part of the mass initially rotates outwards, the movement is better described as toppling. Subsidence — the downward movement of rock into closed depressions in the ground — may result from the collapse of natural underground openings called caves and is typical of karst landforms. Sliding describes the motion of a mass that remains undeformed except along its base. In slides, a rupture surface separates the displaced mass of rock from the rock over which it moves. Numerous small falls from a cliff of hard rock produce a talus or scree, that is, an accumulation of loosely packed rock fragments sloping outward from the cliff. Such a landform is sometimes popularly called a rock slide. This entry, however, concentrates on slope movements in rock. Rock-slope movements occur in mountainous regions or where erosion or excavation has exposed the rock. They are known throughout the Canadian Western Cordillera and along rocky coastlines and in deeply cut river valleys in eastern Canada. Rock slides also occur in artificial excavations, in cuts for roads or excavations for mines and quarries. Movements can vary in size from the fall of a single block less than 1 m3 to slides of whole mountainsides involving many millions of cubic metres. High velocities have caused catastrophic rock slides to be called rock avalanches by analogy with the rapid downslope movements of snow avalanches. Natural weaknesses often control the shape and location of rock slides. 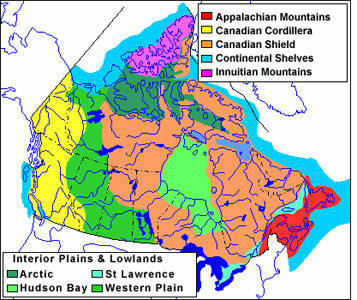 Sedimentary rocks, such as those at Frank and at Brazeau Lake, have surfaces of weakness separating the layers of sediment (or beds) from which the rocks were formed. If the sedimentary rocks are later compressed and folded into mountain chains, the beds are tilted to steep angles. As valleys are eroded through the mountains by rivers or glaciers, surfaces of weakness sloping into the valley may become exposed. At these exposed surfaces of weakness a typical Rocky Mountain rock slide can then take place. Recent research has mapped the debris of hundreds of rock slides throughout the Western Cordillera. 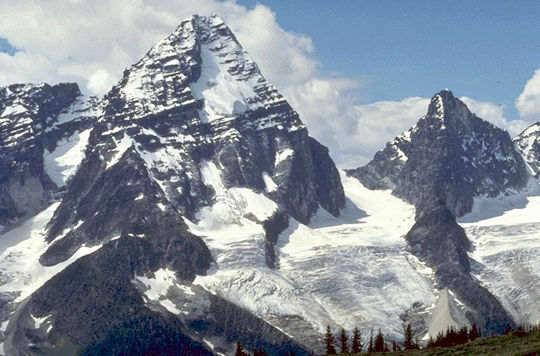 These prehistoric slides and those at Brazeau Lake, Hope and Rubble Creek in Garibaldi Provincial Park, British Columbia, clearly have natural causes. Processes that destroy cohesion or bonding across potential rupture surfaces can trigger rock-slope movements. For example, water infiltrating the rock mass may freeze and expand, lengthening natural cracks along the growing rupture surface. At Hope, shaking caused by an earthquake may have triggered the slide. 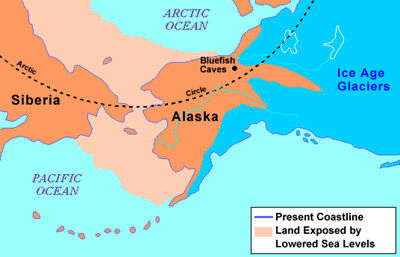 Rupture may have occurred at Rubble Creek when debris or freezing obstructed the large springs that presently flow from the scarp of the slide. In limestones, karst processes are often active in dissolving rock along bedding planes, effectively removing the natural glue holding the rock mass together. More recent slides include the 7 million m3 rock slide at English Chief River, 150 km west of Fort Simpson, Northwest Territories. It was caused by the magnitude 6.6 Nahanni earthquake on 5 October 1985. In addition, a small rockfall derailed a Canadian Pacific Rail train at Kootenay Lake on 20 January 1995, causing the death of the crew. Large rock slides rarely occur without such precursors as cracking of the ground at the crown of the slide, or bulging of the ground surface above the toe of the rupture surface. Surveying systems have been designed to monitor slopes so that work in any excavations around the gradually accelerating, displaced rock mass may continue until slope failure approaches. Movements can be reduced by decreasing gravitational forces disturbing the rock mass through off-loading the head of the slide or by draining water from it. Resistance to movement can be increased by loading the foot of the slide or by artificially reinforcing the rupture surface. Modern engineering practice can eliminate loss of life and movable property from rock-slope movements. The Lower Town in Québec City has been the site of major rockfalls. On 17 May 1841, boulders from Cap Diamant demolished eight houses and killed 32 people but did not deter building in dangerous areas. On 19 September 1889, a massive rock slide smashed much of Champlain Street, killing more than 40; the disaster would have been worse if many families had not been absent attending two wakes. The most disastrous rockfall in Canadian history was the Frank Slide of 29 April 1903, which claimed at least 70 lives in Frank, Northwest Territories (now part of Alberta). 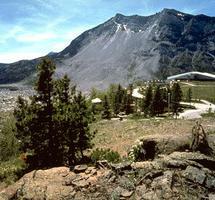 The Frank Slide lasted about 100 seconds and transported some boulders 2 km. Surface weaknesses may have been the cause of the slide, though coal mining at the base of Turtle Mountain may also have been a contributing factor. Mining was also at play on 22 March 1915, when a rock slide tumbled from above a mining portal into the Jane Camp at Cooper Mine, British Columbia. The slide — which caught many miners in their bunkhouses — killed 56 people. J.J. Clague, "National Hazards," Geology of the Cordilleran Orogen in Canada, Vol 4 (1991); S.G. Evans and O. Hungr, "The Assessment of Rock Fall Hazard at the Base of Talus Slopes," Canadian Geotechnical Journal, No. 3 (1993).